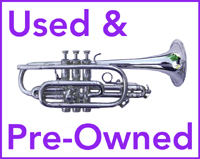 Welcome to the world-famous Hickeys BoneCat online catalog of Trombones, Sheet Music & Books, Discount Accessories, Brass Ensembles, Recordings and More for the Trombonist! In Stock. Play Tested. Inspected. Ready to Ship. 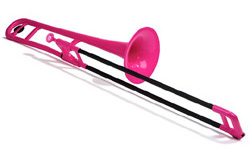 At Hickeys we stock pBones in all available colors, including blue, green, black, pink, orange, purple, red, white, yellow, Plus we also have the Alto pBone in red and blue.